Throughout history people have fought both for the right to vote and for their vote to count. They want not only the vote but progress, opportunities and choices. Many of their aspirations are down to earth: jobs, healthcare, education and a better standard of living. Democracy is the means to fulfil them. Free and fair elections are the backbone of every democracy – an election is the time when the power is fully in the hands of the people as they vote to shape the future of their country. But too often elections do not meet the standards needed to ensure that citizens are effectively able to hold their governments to account through the ballot box. Many of the democratic challenges faced around the world are the same for rich and poor countries alike; bolstering participation when disillusionment with politics is high; fighting fraud and corruption and ensuring that everyone’s vote counts no matter who they are or where they live. Solutions to universal challenges such as poverty, inequality, environmental sustainability or political strife start at the ballot box by successfully empowering people to vote. During a long international career, I have seen at first hand many of these challenges as well as the transformative power that legitimate elections can play in empowering citizens around the world. Just as our world evolves so too must our elections. Technology has revolutionised so many aspects of our lives – services, lifestyles and living standards but elections have been left behind. That’s despite the benefits it can bring from reducing fraud and corruption, bolstering participation and ensuring that no one can be cheated of their vote. This collection of essays from some of the world’s most prominent election experts - who make up Smartmatic’s International Elections Advisory Council - offers a unique behind the scenes perspective on what it takes to run an effective election including reflections on the role that technology can play. Not only do the contributors offer their thoughts on the global electoral landscape but also on critical questions such as how to enfranchise the disenfranchised and which countries are leading the curve on digital democracy. They offer lessons for the future and food for thought for governments, electoral management bodies and many others who work on the frontline of elections. Businesses can and must play a transformative role in development but they cannot do it alone. As Chair of Smartmatic, I am proud to be able to draw on the knowledge and experiences of these experts to help shape the election systems that we develop. By pooling knowledge, using the cutting edge tools at our disposal and working together we play our part in ensuring that voters all over the world are able to hold their governments to account. The 21st Century is truly the golden age of technology. Humanity depends on technology for everything with one notable exception, voting. For more than two centuries democracies have relied on hand counted paper ballots and ballot boxes to conduct elections. 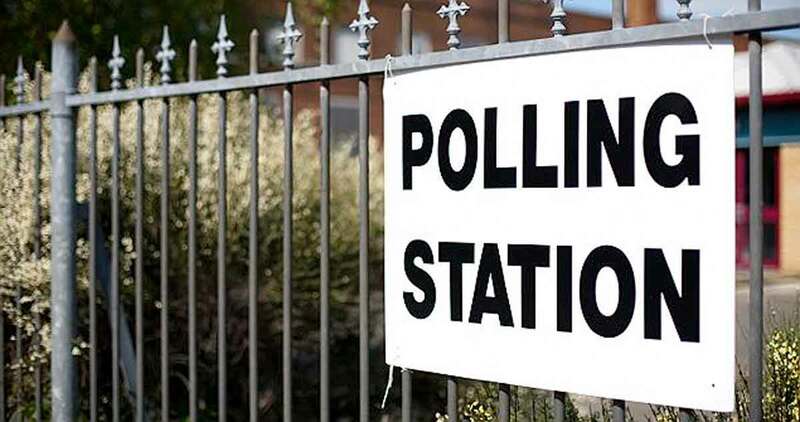 Reluctance to invest in election technology often comes from unfounded misgivings about the reliability, accuracy and security of voting equipment, and sometimes from concerns about surmised high costs. During the 20th century lever machines were eventually phased out in favor of punch card voting systems, early electronic voting machines and optical scanning machines. The 2000 U.S. presidential election focused special attention on voting equipment. A razor-thin margin in Florida tipped the election in favor of George W. Bush. The antiquated punch card voting system used in some Florida counties proved woefully inadequate. In 2002 the U.S. Congress passed the Help America Vote Act (HAVA) and created the U.S. Election Assistance Commission to distribute nearly USD $3 billion in federal funds to update state and local voting systems. Yet despite the availability of voting technologies, a majority of the world’s election management bodies (EMBs) use hand counted paper ballots. In anticipation of the 2016 U.S. presidential election, the prestigious think tank The Atlantic Council released a report entitled, Democracy Rebooted: The Future of Election Technology(I). This report discusses the benefits and challenges of voting technology systems. For the 2016 presidential election 96% of U.S. voters will cast their ballots on a variety of voting devices. According to The Economist Intelligence Unit, almost one half of the world’s countries can be considered democracies(II). Democracy expansion over the past 25 years has created demand for professional election administration. For democracy to thrive, robust election processes are required that permit citizens to choose their leaders, as guaranteed by the Universal Declaration of Human Rights. Voting technology can greatly benefit democracy by enhancing election integrity and security. Counting ballots by hand often brings lengthy delays in the release of timely and accurate election results. Take Australia’s 2016 Parliamentary Election when hand counting of ballots took more than a week to produce final results, sparking political and economic uncertainty. In contrast, electronic counting can speed declaration of results from weeks down to hours and mitigate the threat of post-election derangement of the social order or even violence. An example is the 1992 presidential election in the Philippines in which Fidel Ramos was elected. Until 2010 all national elections in the Philippines used hand counted paper ballots on which voters wrote the names of their preferred candidates. Delays in announcing a winner spawned charges of fraud and civil unrest in the Philippines(III). Analysis of legal barriers to voting technology. Importance of a competitive procurement process. On-going outreach to election stakeholders when selecting voting systems. Independent auditing and testing programs for voting systems. Need for voting systems that are accurate and secure against cyber-attacks. 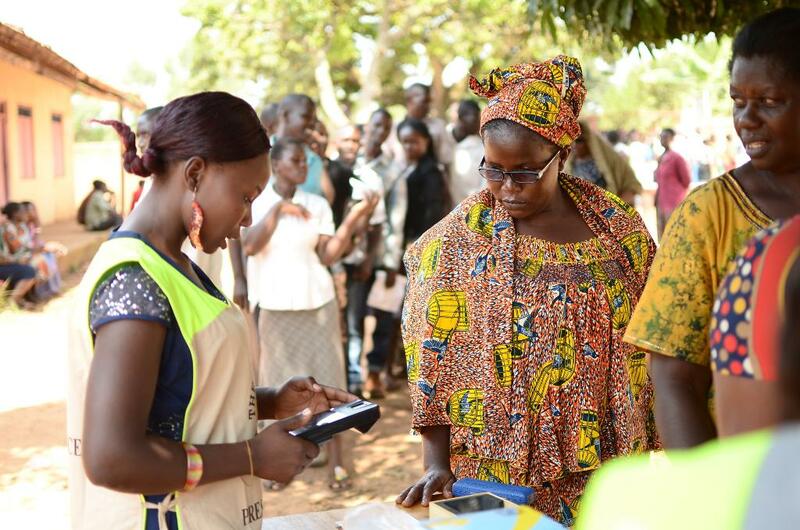 Lessons learned from other countries highlight past success in implementing voting technology. 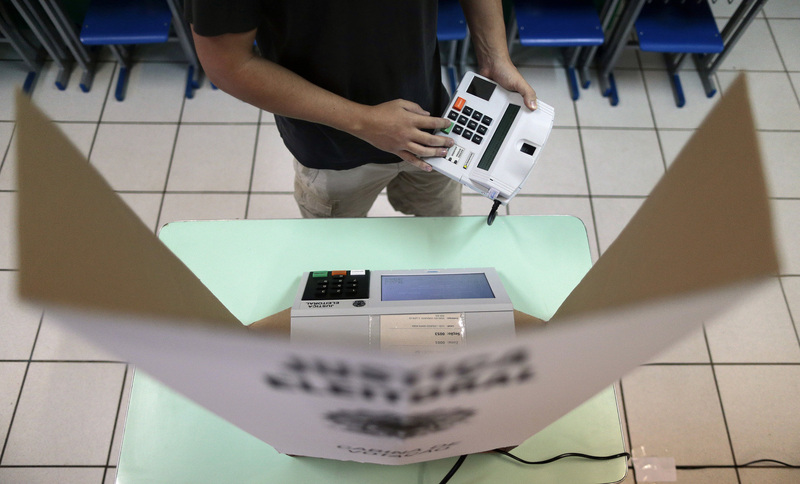 Brazil adopted nationwide electronic voting in 2000. Factors contributing to success included an excellent voter education program, on-going outreach to election stakeholders and a robust independent voting systems testing program. 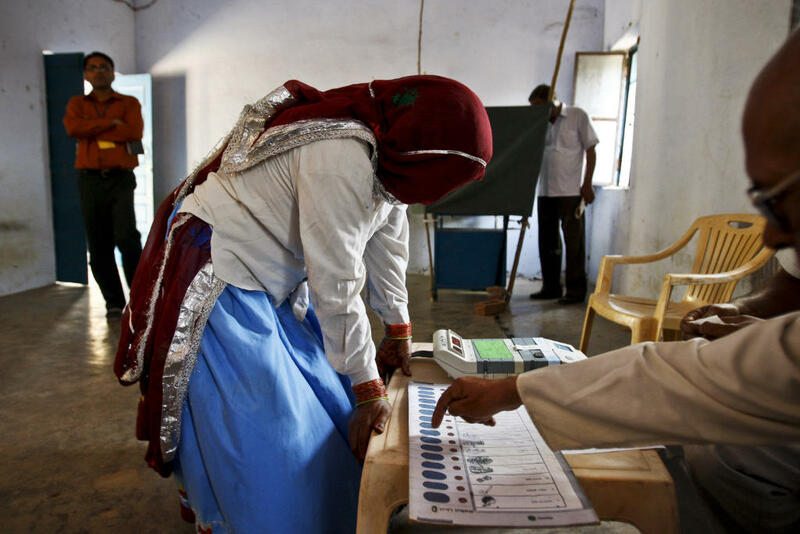 India has successfully implemented a homegrown electronic voting system. 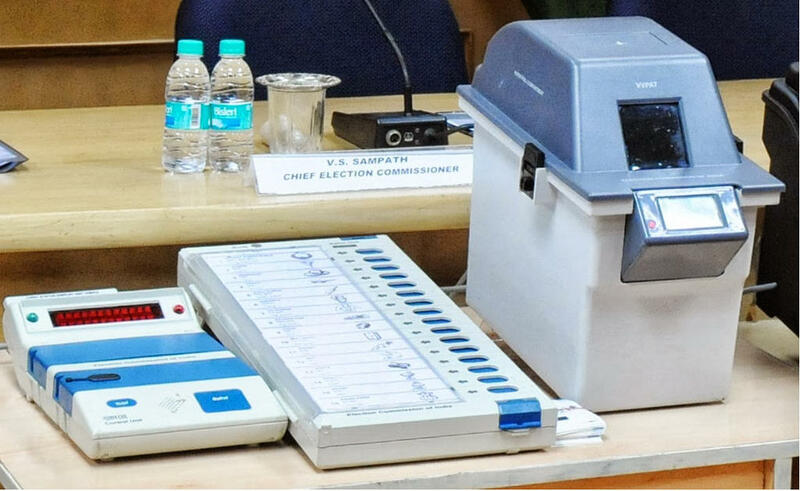 Since 2004, the Electoral Commission of India has deployed electronic voting machines in nationwide parliamentary elections. 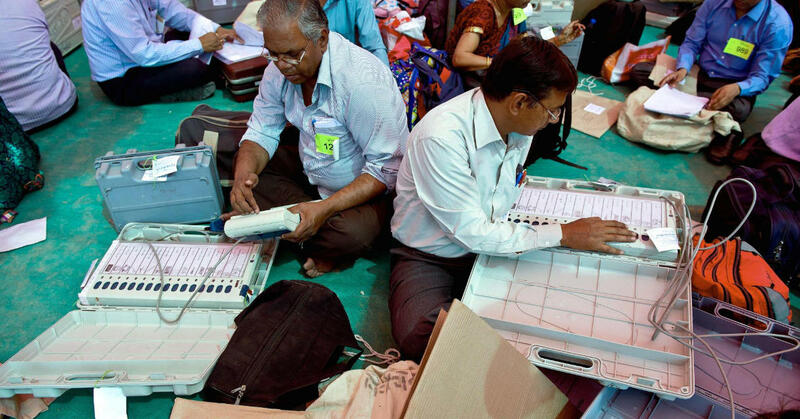 The Indian electronic voting machine (EVM) enjoys great credibility due to superb voter education, competent logistics planning and robust stakeholder outreach. 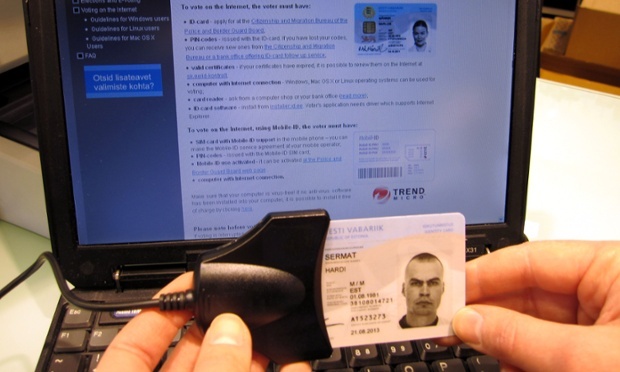 Estonia has implemented Internet Voting for all parliamentary elections since 2007. In the 2015 parliamentarian elections, 1/3 of Estonians chose to vote online thanks to a highly effective voter education effort and election stakeholder buy-in. Estonia is the first country to offer internet voting as an option in all elections. 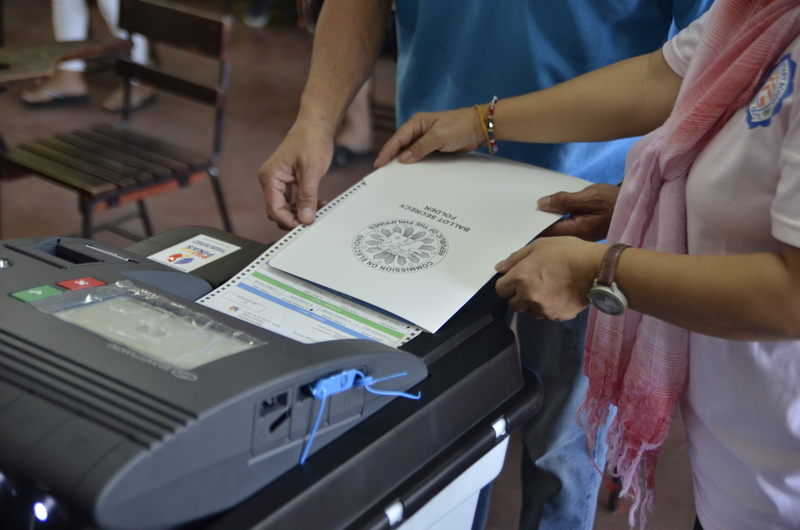 In the Philippines, given the logistics involved in organizing elections in a country spread out across 2,000 inhabited islands and a past ripe with chaotic elections, the Commission on Elections (COMELEC) implemented an automated voting system for the 2010 elections. They selected an Optical Mark Recognition (OMR) system. Some 90,000 optical scan voting machines have been used successfully in the 2010, 2013, and 2016 elections. This OMR system enjoys great credibility thanks to strong voter education, effective poll worker training and vigorous election stakeholder engagement. Independent testing of the hardware and source codes is also a key to wide acceptance from all contenders, and hence from the public as well. The automated voting system has contributed to peaceful elections because election results have been released very quickly. In the May 2016 presidential election the winner was known within four hours of polls closing. For democracy to thrive, high levels of voter participation are required. A 2014 paper by the U.S. Census Bureau showed that only 38% of U.S. voters aged 18 to 24 voted in the 2012 elections in contrast with a participation rate of 69.7% for persons 65 years of age and older. Young voters in the U.S. and elsewhere may find that traditional voting methods do not fit their technology-driven lifestyles. Election officials ought to consider new tools like internet-based voting to fully engage younger voters in democracy. Professional election administrators are the guardians of the election process. As Brazil, India, Estonia, and the Philippines show, successful implementation of new voting technologies depends on public credibility. All possible tools must be used to increase voter participation and safeguard the integrity of the vote. It is time democracies invest for the future and bring elections into the 21st century so that every vote counts. Africa continues to be a vibrant arena for democracy, civil society activism, and robust efforts, such as through the African Union, to advance democratic and constitutional rule. As Africa strives to enhance accountability and to provide support for the sustenance of democratic systems, elections have taken centre stage despite records of conflict and mal-governance that have marked severe setbacks for the continent. The work of independent electoral commissions in providing mutual support, in designing instruments for election observation, and in undertaking training and research is critical to strengthening democracy. An increasing number of them are turning to technology to improve election processes particularly voter registration. A credible voter register enhances an electoral process reducing the possibility of fraud and ensuring that only those who are entitled to can vote. However, building an accurate register is not an easy task; unavailability of identity documents, lack of birth and death records, increased urbanization, and changing national borders are just some of the challenges. Take South Africa: the first post-apartheid election was organized in 1994, mainly with international assistance. In 1999 the Independent Electoral Commission of South Africa (IECSA) took charge of organizing South Africa’s second democratic election. Technology was a very useful tool in organizing transparent and credible electoral processes. Technology was used in most parts of the electoral cycle. The greatest challenge was the creation of a voter’s register in a country that had been divided by racial lines in every aspect of its existence. All the logistics and preparations were electronically based and included mapping the country, drawing of voting districts, and putting in place IT infrastructure. One substantial challenge was reaching rural areas and remote border areas of the country. This exerted further strains on demarcation and on drawing boundaries. The internal residential racial segregation, a holdover from the Apartheid era that made the task very complex. The use of “zip-zip” scanners for voter registration and identification at polling stations has saved the day in South Africa. Over the years these “zip-zip” scanning machines have significantly improved voter verification. In the 1994 elections, the creation of an operation centre where results were electronically received from polling stations was welcomed by political parties, media and civil society organizations. The process for consolidating and centralizing the tabulation of the results from thousands of polling stations was then carefully checked by audit firms. The transparency of the process was key to building trust as was the IEC of South Africa providing information to political parties, to voters, and to the media so they fully understood the process. The use of technology not only earned the Electoral Commission trust but was proof that our voting system had leapfrogged to the brink of the twenty-first century. The use of technology in elections is not just a technical issue, it is becoming a public policy matter. South Africa is not an exception in its use of election technology. 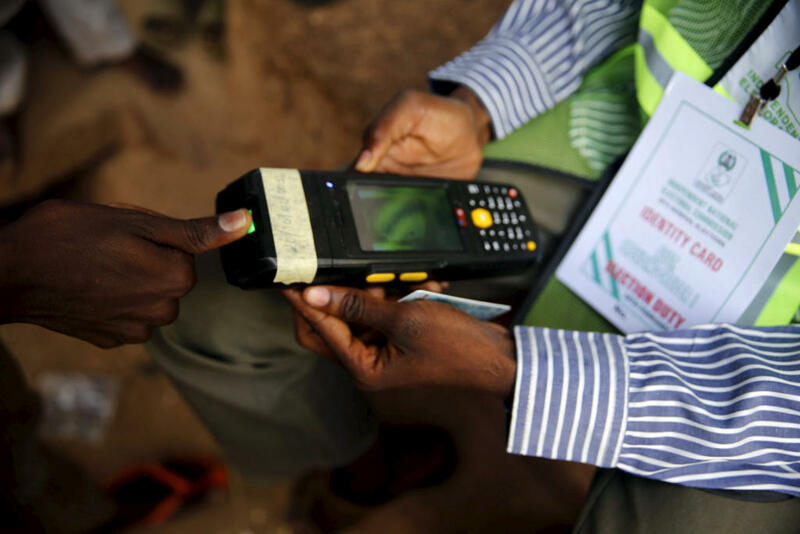 Across Africa, for example in Kenya, Nigeria, and Uganda, there is widespread interest in the use of technology in elections. One of the major uses has been biometric technology to identify and register voters. It is gaining popularity because it increases transparency and accuracy, reduces corruption and fraud and helps improve the voting experience. Over 20 sub-Saharan African countries have already held elections employing a biometric voter register. For example, in 2016 the Electoral Commission of Uganda used biometrics to verify voters. Biometric scanners were deployed in all polling stations clearing voters in 30 seconds – a record time in voting. 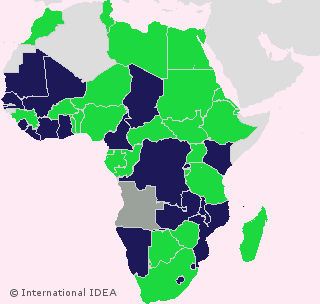 Map of Africa showing where biometric data is used in voter identification at polling stations. International Institute for Democracy and Electoral assistance, Stockholm, Sweden. Copyright © 2016 International Institute for Democracy and Electoral Assistance. Biometric registration is just the first step – the question of whether voters will be able to vote electronically or via the internet is of interest for political leaders, technology innovators and voters alike. An electronic voting system like other automated information systems must be judged on several criteria including how well its design provides for security, accuracy, ease of use, and efficiency. But the benefits it could bring are undeniable. Take participation. Though electoral commissions are committed to inclusiveness and accessibility to all voters, they face many challenges. Difficulties with transportation, logistics and lack of infrastructure often make it impossible for them to reach all voters, making the case for electronic and internet voting solutions for the future even stronger. Satellite technology means that electronic voting systems can be used in even the most remote corners of the country. The benefits to the voter of new election technology like internet voting are clear. The ability to vote from home, work, the market, or even an individual’s customary voting place makes a good case in favor of internet voting. The absentee voter and those living abroad will be better able to vote – which is of critical importance to Africa given its large Diaspora. The ultimate aim is not just that we have the option to vote online but we have a much broader electronic engagement with our government, where we are able to express our views on a continuous basis, secure in the knowledge that it will reach those in power. India is one of the most diverse countries in the world, home to almost all religions, hundreds of castes and communities, 22 official and 1652 unofficial languages. The constitution mandates absolute equality for all. No one, even those living in the most remote areas, can be denied from exercising their democratic rights. In 1952, when the Constitution of India was promulgated, the illiteracy rate was 84%. The foremost concern was that no one, particularly those who couldn’t read, should be left out of voting. Coloured ballot boxes for each candidate were introduced. These were later replaced by a single ballot box with ballots that included names and symbols for every candidate. This ensured that illiterate voters could easily identify the candidates of their choice. However, during this time there were many invalid votes. Many illiterate voters simply left the ballot blank. Others stamped ballots in the wrong place. Too often nerves got the better of many voters and their trembling hands would inadvertently leave ink smudges, rendering their ballot invalid. Often these invalid votes would add up to thousands - more than the winning margin. What’s more, almost every invalid vote was disputed by political parties, often leading to violence. The introduction of voting technology consigned such chaotic scenes to history. Quick and accurate counting and smooth declaration of the results has revolutionized the way elections are conducted. 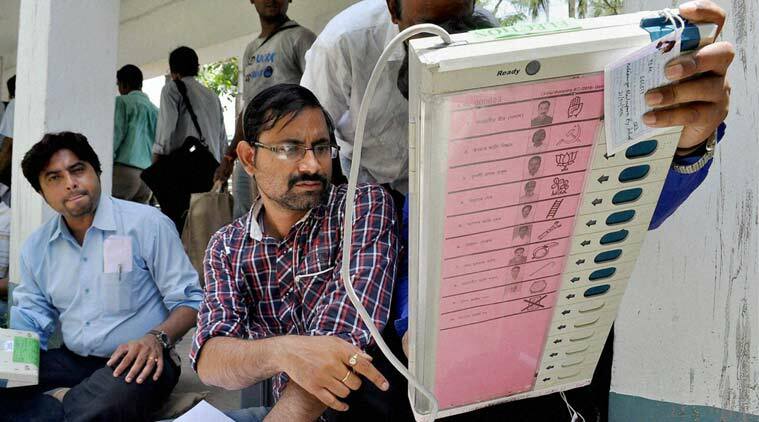 When the Election Commission of India (ECI) launched the idea of Electronic Voting Machines (EVM) in 1982, many skeptics questioned whether technology would discourage illiterate voters. The opposite was in fact true – empowering illiterate voters was the primary reason for their introduction. The EVM machines removed the possibility of invalid votes in many ways. Voters now simply press a button to choose their candidate — no more shaking hands and invalidating of votes. Instead, voters receive instant confirmation through a light turning on to indicate their chosen candidates. A loud beep confirms that the voter’s ballot has been registered. People with disabilities also benefited – for example the inclusion of Braille on the EVMs allows visually impaired people to vote easily. The introduction of these machines meant that turnout started increasing. Recent elections have seen the highest turnouts in history. The most underdeveloped states with the highest illiteracy rates have seen dramatic surges in voter participation. The introduction of the Verified Voter Paper Audit Trail (VVPAT) capability in 2012 further increased people's faith in the electoral process and is expected to give a further boost to participation. Technology has also helped improve voter registration. 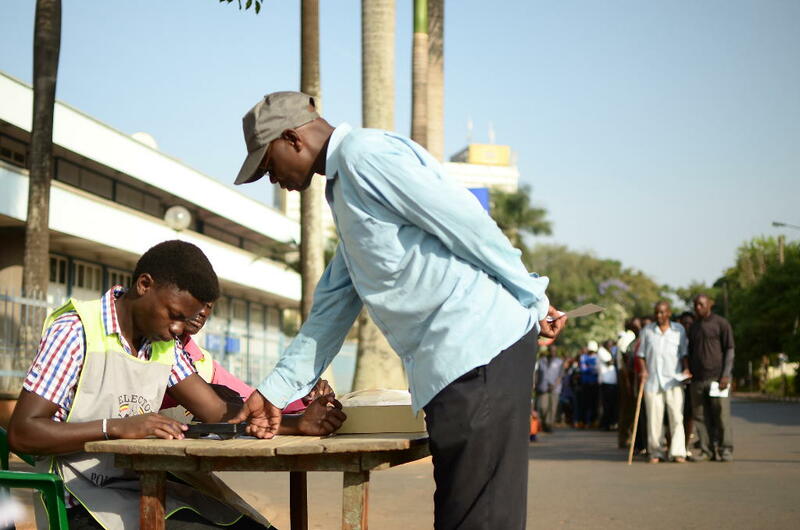 Online registration has encouraged young people to register, including even those who were indifferent to voting. Simultaneously, election officials use technology to monitor the movement of people and materials during elections and to keep track of processes, making their jobs a lot easier. As well as transforming the actual running of elections, technology is also revolutionizing voter engagement and even influencing the results. The Internet and Mobile Association of India estimates that a well-executed social media campaign can swing 3-4 % of votes(V). Mobile telephones and social media have given political parties and candidates an opportunity to reach out to voters. In 2014, the technology industry noted technology’s decisive role in determining the outcome of a national election. Some went so far as to call social media the new election "battleground". 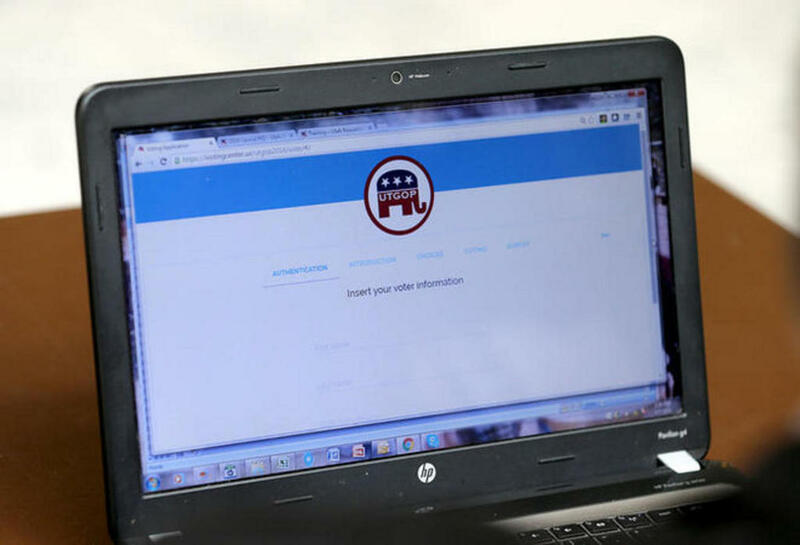 Adam Sharp of Twitter described it as the country's first Twitter election with "candidates, journalists and citizens using the Twitter platform to discover election content, converse with others in real time and express their views"(VI). A forerunner of this was the member enrollment strategy of the Aam Aadmi Party (AAP). The AAP gave the people a phone number on which to make a “missed call”. This was used to create a super-quick database of 9.8 million phone numbers with whom the party could communicate directly. Though the AAP may have started the trend, the party that used new social media most powerfully was undoubtedly the Bharatiya Janata Party (BJP). "The social media effect was huge for BJP. They really understood that social media is an extended version of the campaign trail", remarked Michael Kugelman of the Woodrow Wilson Centre(VII). With its so called 'carpet bombing' of mobile phone users, the BJP used multiple social media networking platforms, including Facebook, Twitter, YouTube and Whatsapp, to stay connected with existing and potential supporters. Arvind Gupta, head of the BJP’s information technology unit stated: ‘the youth of the country were embracing social media as their first tool when they started using the internet and we made sure our presence was there'(VIII). It's now abundantly clear that elections will never be the same again. Technology will rule– both in the run up to the vote and at the ballot box itself. Smart electoral management bodies who are quick to realize this are the ones reaping the fruits for them and their citizens. The Election Commission of India has been at the vanguard of this technological revolution. I have no doubt it will continue to do so and that can only mean more benefits for the world’s largest democracy. Delivering elections is complicated – it takes meticulous planning, excellent systems and the ability to cope with the unexpected. This is certainly true of the United Kingdom. We have a complex electoral system with many types of voting from first-past-the-post voting (FPTP) to supplementary and single transferable vote (STV). What’s more we have an increasing number of elections every year. 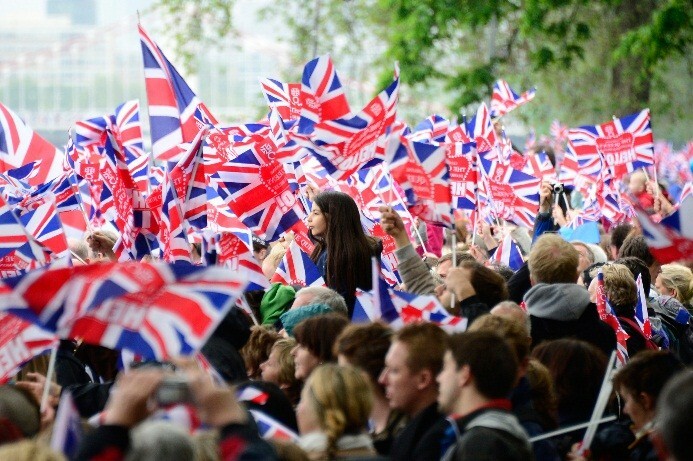 The UK is often described as one of the oldest democracies in the world - something we can be proud of. But, whilst we have made some advances in modernizing the elections there is still a way to go before we can boast of a truly 21st century voting system. Technology is already used in many of our electoral processes. Take voter registration. The law was changed in 2013 so that each voter must now register individually, a task previously done by each head of household. To facilitate this, the central government created an Individual Registration Digital Service – a website that allows individuals to register online. While this facility has been extremely well received and well used, there remains considerable confusion around voter registration procedures. It is estimated that as many as 800,000 eligible voters have been left off the voter rolls for the most recent elections̶̶ particularly those hard to reach voting groups such as overseas voters, students, older persons in care homes and those whose first language is not English. Boost turnout in a General Election by up to 9 million, increasing it to 79%. Boost the young voter turnout in a General Election by up to 1.8 million, increasing total turnout to 70%. Reduce the cost per vote by a third and provide long-term savings of £12.8 million. Technology also plays an important part in the compilation and maintenance of voter lists. Computerized electoral management systems are operational in the 380 electoral registration areas. Electronic counting is also used in some places. The most notable example of this is London. Since 1999, the Greater London Authority has taken unprecedented steps to ensure visibility, transparency and accuracy in the use of electronic vote counting. As the largest local elections in the UK – with approximately 5 million voters eligible to vote at 4000 polling stations and three different electoral systems̶̶ the London elections are complex indeed. Overall e-counting has worked well, leaving no doubt that technology is a valuable tool. The UK Government encouraged local authorities to undertake a series of pilot schemes between 2000 and 2007 to trial new technologies and new methods of voting and counting. Pilots included early voting, all-postal voting, multi-channel electronic voting and electronic counting. Some of the specific systems trialed included internet voting, telephone voting and electronic polling stations that permitted citizens to vote anywhere on polling day. Overall, the remote e-voting systems used in the 2007 pilots proved successful and facilitated voting. Nevertheless, there were issues concerning accessibility, further compounded by difficulties with the voter registration system. Telephone voting proved especially problematic. A comprehensive electoral modernization strategy that includes focus on transparency, public trust and cost effectiveness. A mechanism to insure adequate testing of e-voting systems to guarantee security and transparency. Sufficient lead time for implementing e-voting pilots. Implementation of individual voter registration, which was begun in 2014. Now, nearly ten years later, with the exception of the introduction of individual voter registration, little has changed. These pilots took place before the launch of the first iPhone and before Facebook and Twitter existed; and in a similar fashion, voting technology in general has also developed considerably. Many of the problems seen in the pilots simply aren’t issues anymore. In 2013, the Speaker of the House of Commons set up the Commission on Digital Democracy. Looking at all areas of democratic engagement, the commission outlined five key targets and recommendations, one of which being that by 2020, secure online voting should be an option for all voters. But there has been little progress in moving forward the use of technology in UK elections and the 21st vision laid out by the Commission still seems some way off. We cannot stick with the status quo. Declining turnouts, increasingly mobile populations, diverse electorates and ever-increasing elections demand that the UK's trusted electoral system adapts and changes to meet the needs and lives of 21st century voters. If the UK wishes to remain a global leader in the 21st century then we must think beyond the 19th century that gave us elections using the pencil, paper ballot and ballot box. Democracy in the UK deserves a modern system that is secure, efficient and which guarantees that every vote counts. Nigeria has long been in search of effective electoral processes, as an integral part of its transition to democracy. A history of poorly conducted elections has, until recently, created profound scepticism amongst Nigerians about the utility of electoral democracy. However, the relative success of the 2011 and 2015 general elections has revived hope amongst Nigerians that their votes count. More needs to be done to keep that hope alive. From the 1970s to the late 1990s Nigerians struggled for democracy to replace authoritarian military rule. The 1999 elections brought a return to civil rule and the advent of the Fourth Republic under President Obasanjo. Those elections were considered acceptable by the international community and tolerated by Nigerians, despite massive difficulties. After decades of military rule, hopes that the new civilian government would lead to better governance overshadowed the flaws in the electoral process. However, civil rule did not automatically translate into good governance, and the people continued to face persistent unemployment, poverty, insecurity and reckless misrule. The elections that were supposed to reflect ‘people power’ became progressively worse, sparking popular anger, resentment and disappointment. Nigerians had high hopes that the Fourth Republic, beginning in May 1999, would usher in a liberal democratic era. Through the ballot box, rather than the bullet, Nigerians strived to confer legitimacy on elected public officials through re-election or to vote out those they viewed as having failed. However, subsequent elections were still regarded as mere rituals whose outcome was predetermined often with the highest bidder buying the election. In some cases, it is widely believed that thugs and some members of the security agencies committed election fraud. It seemed that the citizens’ genuine choices through voting did not count. The 2003 elections, unfortunately, were not much better than the 1999 elections, in terms of transparency and credibility. The 2007 elections were even poorer, with election observers calling them the worst in Nigeria’s history. The EU observer mission, noted that the elections fell “short of basic international standards”, and “were characterized by violence and fraud.” There was reckless mobilization of ethno-religious cleavages and use of money and thugs to influence results. Pre-electoral processes, such as party primaries were grossly undemocratic. Even, the winner of the presidential election, the late President Umaru Musa Yar’adua, admitted on his inauguration, that there were serious flaws in the election that brought him to power. To preempt a major crisis of legitimacy, he launched the Electoral Reform Committee which was mandated to make wide-ranging recommendations for electoral reform in Nigeria. One significant development in the 2015 elections was the increased use of technology, most significantly the deployment of biometrics — to identify, register and verify voters. This brought many benefits, including trustworthiness and reliability. Of course, there are challenges in using technology, which must be addressed. These include a lack of equipment manufacturers in Nigeria, and of locally produced products and services. For now, procurement must look abroad, with all the associated issues of vendor management, software licensing, equipment maintenance, repairs and spare parts replacement. Another challenge is ensuring the secure electronic transmission of data. Whilst the right technology is available and can be made secure, adequate staff training is needed to provide the requisite competencies for technology use. The INEC grappled with these issues in the deployment of technology in the 2015 general elections but the benefits far outweighed the challenges, and we will continue to consolidate past gains. 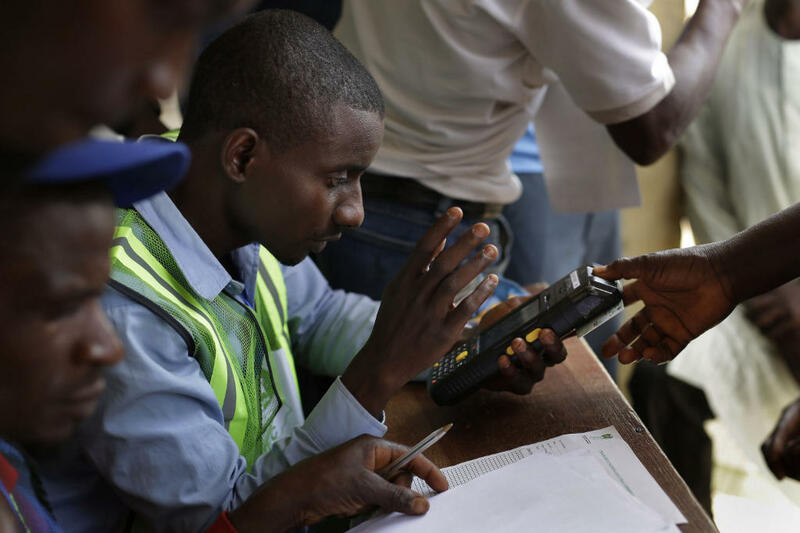 Focus must be on the use of technology such as Permanent Voter Cards and smart card readers in the Nigerian electoral processes, which have contributed piecewise but significant advances. As the 2015 general elections illustrated, Nigeria has greatly improved the effectiveness of its electoral processes. From poorly conducted elections, sparking apathy and scepticism amongst the citizenry, we are now seeing the culmination of reform efforts towards better managed elections, with renewed hope amongst the citizenry that every vote counts in electing their leaders. It remains to be seen whether better elections will translate into good democratic governance, but the prospects are bright. When votes count, politicians have no choice but to sit up and listen to the voters. They ignore the voters at their own electoral peril. 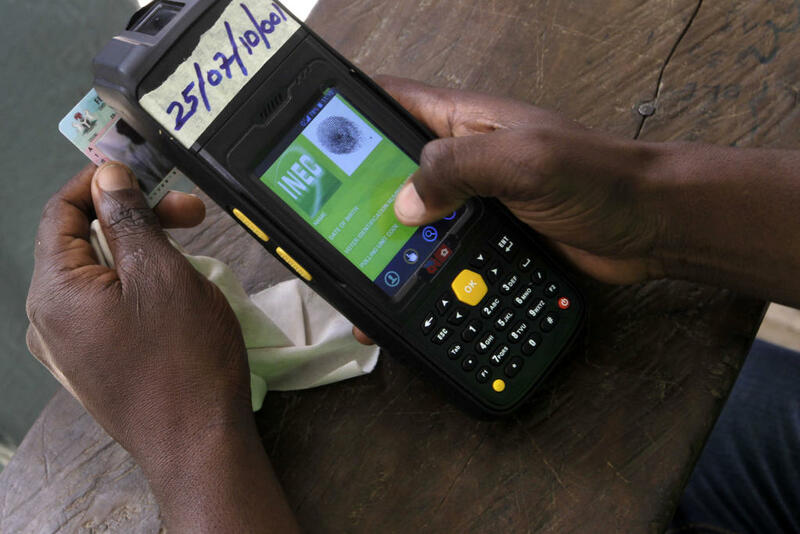 The 2015 general elections also showed the benefits of technology for enhancing election management. Use of technology brings challenges but these are surmountable. Fear of potential problems should in no way diminish the need for improved and increased use of technology in elections. We need to forge a strong alliance for the consolidation and expansion of the use of technology. This would result in a Nigerian electoral process with greater transparency and effectiveness in delivering free, fair, credible and peaceful elections bringing huge benefits to citizens. Latin America began its democratic transition during the 1980s – part of what Samuel Huntington called The Third Wave of Democratization. They were very complex and diverse political processes. Political changes were brought about by the triumph of guerrilla wars, as in Nicaragua; or the signing of peace agreements that ended civil wars, as in El Salvador. Military rules fell and party systems that had worked before dictatorship periods were reinstated, as in Argentina, Chile and Uruguay; or a new party system was created, as in Brazil. There was also the slow transformation of a hegemonic party system into a plural and competitive one, as in Mexico. Latin American democracies have been consolidated for more than 25 years, but like other democracies in the world, they face major problems and challenges. Serious economic and social inequality persists and has led to a high level of dissatisfaction with democracy and an increase in the voices that propose authoritarian government as a solution. The degree of democratic dissatisfaction is not homogeneous; in addition, the heterogeneity of the continent is exacerbated by different situations in different countries. Despite this diversity, Latin American nations all face the common challenge of strengthening democracy. This challenge is set out in a 2012 report by The Global Commission on Elections, Democracy and Security, headed by Kofi Annan(X). That Commission postulated: "For elections to embody democracy, further development and promote security, they must be conducted with integrity." Electoral integrity depends on many factors but two are essential according to the Global Commission: “For elections to have integrity, they must be conducted competently in a professional, non-partisan, transparent manner and just as importantly, voters must have confidence in their conduct”. In Latin America, we have made huge strides in the formation of professional and impartial electoral bodies. 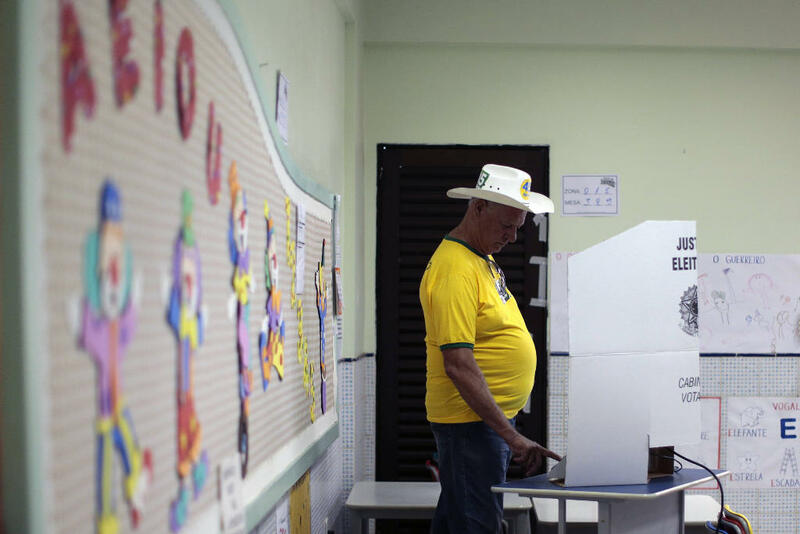 In a recent report the Atlantic Council noted this, stating “Brazil, India, Mexico, and South Africa are among noteworthy examples that merit praise for their strong, independent, and effective electoral institutions. Other democracies, new and old, should look to them as models.”(XI) The successful implementation process of electronic voting in Brazil is discussed. This system started in the 1990s and has produced a significant increase in voter confidence, mainly due to the speed with which results are arrived at and disseminated in the most populous country in Latin America – in the 2014 elections the results were known within 2 hours. 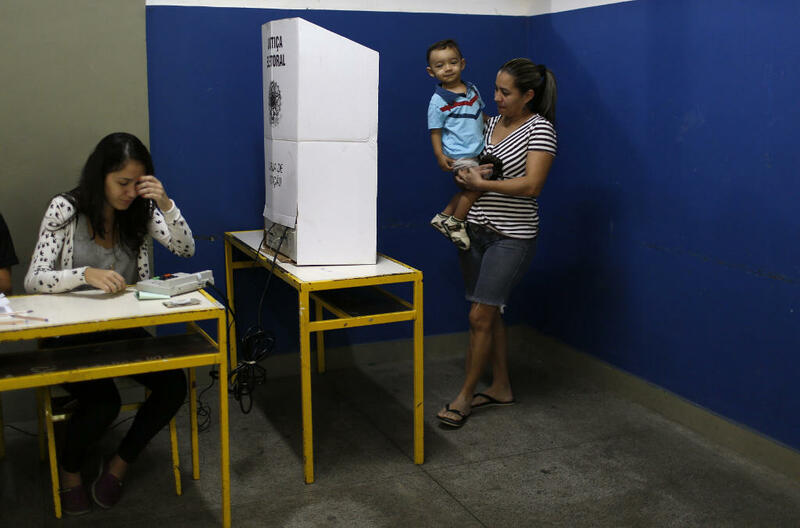 The Brazilian electronic voting has also helped to enfranchise the inhabitants of remote and inaccessible regions. Despite not having electronic voting, Mexico is another good example of how technology can be successfully used to conduct elections. 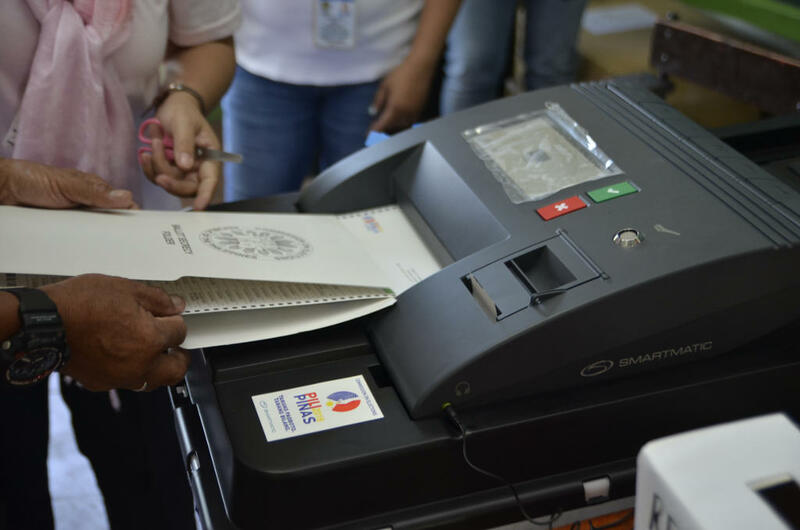 To take two examples, the electoral roll and the Program of Preliminary Election Results, Programa de Resultados Electorales Preparatorios (PREP) have been successful, thanks to the advanced technology applied in both cases. In the early 1990s voter registration using biometric information was introduced. The electoral roll is a database of more than eighty million georeferenced citizens and their biometric information, including their pictures. By law, Mexicans must vote in polling stations located very close to their homes. The electoral authority issues a voter card linked to the polling station, which includes the photograph of the voter. That document is already the primary means of identification. Voter lists at each polling station include printed photographs of voters, so that, in addition to identification by name, photo verification can also be used. Mexico must move towards biometric identification of voters, as already happens in Venezuela and many other countries in order to further improve elections. Through the PREP system, results from each polling station are published on the internet in just 24 hours. This process enables the capture and display of almost 100% of the results from polling stations. This is made possible by the use of technology for secure data transmission and the ability to securely publish big data on the internet. The data is preliminary, since, by law, computations of results must be performed manually. In order to introduce electronic voting in Mexico, a reform of the electoral law would be required. If that were to happen and electronic voting was fully implemented, final results would be available within a few hours after voting stations are closed, as is the case in Brazil. It is possible to organize elections with integrity in Mexico and Latin America with the use of developed electoral technology. The use of such technology will ensure the credibility and transparency of elections, helping citizens to have more trust in the results. That will be an important contribution to the development of democracy in the Americas. We are now 16 years into the 21st century. While major elections will be held in dozens of countries this year — including of course the U.S. — to decide the future of nations, and indeed perhaps the future of the world, sadly millions of voters will continue to be disenfranchised. They will not able to participate in elections in a free and independent manner because election officials will continue to use methods that are centuries old. Historically, study after study has identified the disabled and out-of-country voters as among the most consistently disfranchised groups in democratic nations. The movement of people from one country to another, often to flee violence and death, has accelerated in recent decades. Their voices are often not heard because they cannot participate in elections held in their own country. The percentage of people identified as disabled has also accelerated in recent years – according to the World Bank, a billion people, 15% of the world’s population, experience some kind of disability(XII). This is occurring as aging populations of baby boomers, particularly in Western democracies, are placing greater demands on governments. Election officials are tasked with finding innovative methods to make the voting process less cumbersome and more accessible. Aging and disabled voters are often place-bound, and cannot even get to polling stations. 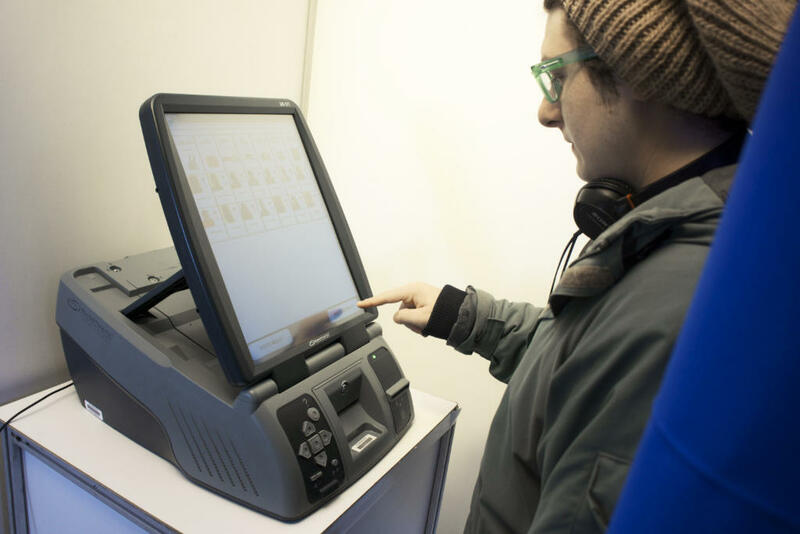 They have difficulty using complex voting devices and systems, including paper ballots, especially when the fonts are often so small that only strong eyeglasses or a magnifier will allow voters to see their ballot choices. Indeed, in much of the world blind and/or disabled voters have no privacy and no independence whatsoever when they vote. Similarly, external voters — voters who are permanently or temporarily outside their home country — face all kind of obstacles in exercising their voting rights. Too many are expected to travel thousands of miles and spend a significant amount of money to have the opportunity to cast a ballot. Technological advances have helped to make life easier for everyone, including for disabled voters and voters away from home. In our mobile phone connected world, except in non-democratic authoritarian nations, people can easily converse, text, pay bills, tweet, email, and use social media to make their opinions known using their own abilities. With such technology, one would think that it would be easy for these same voters to make their voice and vote count in their own country. 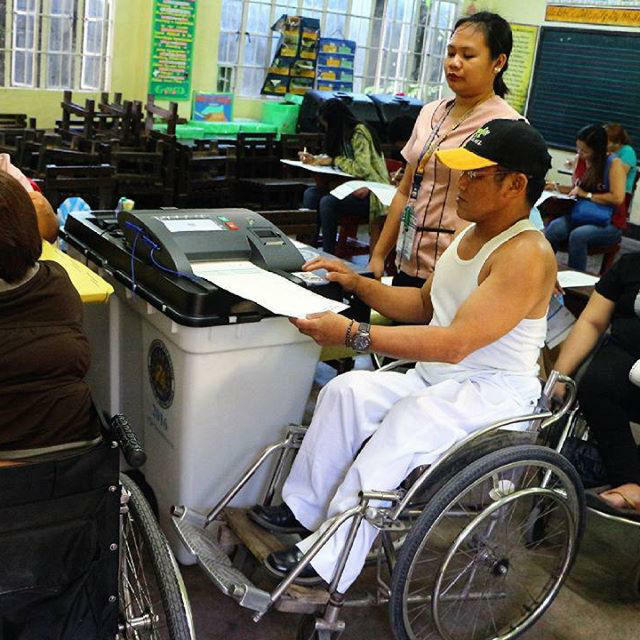 Unfortunately, election authorities have been much too slow to adopt and adapt to new technologies that can better serve disabled and overseas voters. It is time to bring these advances into the voting process and take serious steps to empower these historically disenfranchised voters. It should be noted that many countries have made great strides in attempting to make voting easier, introducing such methods as early voting, online voter registration and establishing Vote Centers. However, such methods have not had a great effect on improving the process for historically disenfranchised voters. What has made it easier for disabled and external voters in some countries is the use of modern voting technology and the internet. Devices that allow voters to cast their ballots independently and privately either at polling places or wherever they may be are increasing participation for disenfranchised and especially younger voters, who are more likely to vote when newer technology is provided. In the U.S., voters with disabilities have been given strong legal rights to demand newer technology to serve their particular needs. The Help America Vote Act (HAVA) of 2002 gave specific rights to U.S. voters that require voting devices at each polling place to allow disabled voters to cast their ballots privately and independently. While a great start, HAVA does not really mandate the same technology for voters who are home-bound, even though such technology is now readily available. So what can be done to increase participation and serve these voters? Disenfranchised voters and their supporters should demand the use of modern voting technology to serve their particular needs. Election officials should become more aware of such technology, and then advocate its use. They should educate and enlighten public officials who pass election laws and provide funding so that voting can be modernized in their country. Courts should recognize that new technology now exists to empower disenfranchised voters, and mandate the use of such technology when public officials drag their feet in serving such voters. The time for 21st century voting technology and methods is now — and long overdue. In 2014, Smartmatic founded the International Elections Advisory Council. The Council brings together an exclusive group of eminent global leaders with superlative knowledge and experience in the field of elections to advise Smartmatic and election officials on strategies and solutions that will promote maximum efficiency, transparency and trust in the election process. Richard W. Soudriette is the chairman of the SGO Smartmatic International Elections Advisory Council. He serves as an international advisor to AWEB. He is a founding member and adviser to the Association of European Election Officials (ACEEEO). From 2009 to 2015 he served as president of the Center for Diplomacy and Democracy in Colorado Springs. From 1988 to 2007 he was the founding president of the International Foundation for Electoral Systems (IFES) in Washington, D.C. Under his leadership, IFES became one of the premier providers of international democracy assistance. Technology offers the opportunity to apply 21st century solutions to the challenges faced by election administrators around the world. He served as a member of the U.S. Secretary of State’s Advisory Committee on Democracy Promotion from 2006 to 2008. He was a founder of the Global Election Organization Conference (GEO) in 1999 and the ACE Knowledge Network in 1998.Prior to joining IFES, Mr. Soudriette served as chief of staff for a member of the U.S. Congress and director of the U.S. Peace Corps in the Dominican Republic and in Paraguay. The International Centre for Parliamentary Studies and the University of Paris have honored him for his work in elections. He is a member of the Council on Foreign Relations. Mr. Soudriette is the author of many articles and publications on elections. Dr. Brigalia Bam (South Africa), Former Chairperson of the Independent Electoral Commission of South Africa, Former Chancellor of the Walter Sisulu University and Nelson Mandela University. In 2004 received the National Order of the Baobab for the role in the upliftment of women and her contribution for democracy in South Africa. With voting technology you have assured participation from more people than ever before in election processes. She holds one of the most prestigious awards of Mahatma Ghandi and Simon of Cerene, the highest award given to a lay person in the Anglican Church. Chairperson of the Thabo Mbeki Foundation and a member of the Tiso Foundation Board, Vodacom Foundation Board, Friends of the Panel of the Wise, Southern African Development Community (SADEC). She gained prominence through her work as general secretary of the South African Council of Church and numerous boards. She had served as a member of the International IDEA, Institute of Global Dialogue, the All Africa Council OF Churches and Unisa. Technology can prevent fraud, it can improve trust in elections and make it easier for voters. He has 30 years of election experience and was Director of Elections for St. Louis County, Missouri, U.S. He has provided technical assistance and has observed elections in more than 35 countries. He has headed several OSCE/ODHIR election missions. Mr. DeGregorio is Senior Advisor to the Association of World Election Bodies, Seoul, Korea. He is frequent lecturer and has authored numerous publications on elections. He received the Freedom Award from the National Association of Secretaries of State, and is a life member of the International Association of Clerks, Recorders, Election Officials and Treasurers and the Association of European Election Officials. Charles Lasham serves as a senior consultant in international electoral assistance. He was a founding member and served as chairman of the Association of Electoral Administrators of the UK. Mr. Lasham has over 25 years of experience in administering elections in the UK, having served as UK and regional returning officer for Liverpool and Northwest England. From 2000 to 2010 he served as country director for the International Foundation for Electoral Systems and oversaw programs that provided technical election assistance to Afghanistan, Azerbaijan, Egypt, Iraq, Moldova, and Nigeria. He has worked in more than 40 countries on pre-election assessments, election studies, election observation missions, and training for election management bodies. He is the author of numerous election publications and articles and was a founding contributor to the Administration and Cost of Elections (ACE) Knowledge Network. Mr. Lasham studied public administration at the University of Liverpool and holds a diploma in electoral administration from the Association of Electoral Administrators of the UK. Professor Attahiru Muhammadu Jega was the Chairman of the Independent National Electoral Commission (INEC) of Nigeria from 2010 to 2015, time during which he oversaw the preparation and conduct of the 2011 and 2015 General Elections. From 2005 to 2010 he worked as Vice-Chancellor of the Bayero University, a federal university in Kano, Nigeria. Other high-profile academic positions he has held include: Director of the Center for Democratic Research and Training, Mambayya House, of the Bayero University, (2000-2004); Acting Director of the Centre for Research and Documentation of the Bayero University (1998); and President of the Academic Staff Union of Universities (1988-1994). Technology can play a tremendous role in bringing transparency and integrity to the overall electoral process. Professor Jega has a PhD from Northwestern University, in Evanston, Illinois, U.S. He has published extensively on Nigerian politics, elections, democratization and transition to democracy among other important topics. He is a recipient of many prestigious awards. Among them are: National Honors Award of Officer of the Federal Republic (OFR) in 2005; Charles T. Manatt Democracy Award in 2015; and ICPS’ Election Commissioner of the Year Awards in 2013 and 2015. He is also a recipient of three Honorary Doctorate Degrees. Professor Jega is currently a professor at the Department of Political Science of the Bayero University. Dr. Leonardo Valdés Zurita served as President Councillor of the Federal Electoral Institute of Mexico, Instituto Federal Electoral (IFE) from 2008 to 2013. During his term, IFE organized presidential and congressional elections. He was a leader in implementing many notable improvements in the electoral process. He has provided technical election assistance and training for election management bodies in more than 34 countries. Prior to his work at the Federal Electoral Institute he was Councillor of the Electoral Institute of the Federal District and Executive Director of Electoral Organization at IFE. He has been a university professor for more than 20 years, written more than 50 articles in specialized journals, more than 30 chapters in collective works and has given more than 100 conferences and lectures. His papers have been published in Mexico, Brazil, Uruguay, Great Britain and Venezuela. He belongs to a number of scientific associations. He was a founding member and served as chairman of the Mexican Society of Electoral Studies for two consecutive terms. He holds a PhD in Social Sciences with a specialization in Sociology from the Centre for Sociological Studies of El Colegio de México with the thesis "The Political Consequences of Electoral Reforms in México (1977-1991)". On 2013, Dr. Valdés received the Charles T. Manatt Democracy Award from the International Foundation for Electoral Systems (IFES) for the implementation of major reforms in Mexico and for fostering international cooperation. He is an honorary member of the Association of European Election Officials a.k.a. (ACEEEO) since 2013 in recognition of his lifetime achievements and for promoting international electoral cooperation. In 2013 he also received an award from the Inter-American Union of Electoral Organs (UNIORE) for contributing to electoral cooperation in the Americas. Dr. S.Y. Quraishi became the 17th chief election commissioner of India in 2010. From 2006 to 2010, he served as a member of the Electoral Commission of India, administering the largest democratic elections in the world, and overseeing presidential, parliamentary, and state elections. Prior to joining the Electoral Commission of India, he served for 35 years as a civil servant working in such diverse areas as sports, health, and energy. He held many posts including Secretary of the Ministry of Youth Affairs and Sports. Dr. Quraishi has received several prestigious awards in recognition of his contributions to civil society and human development. He has earned distinction for his study of languages. He has written numerous articles and publications on elections, democracy, and social marketing. He serves on the board of directors of International IDEA in Stockholm. Dr. Quraishi earned a masters degree from St. Stephen’s College in Delhi and received a Ph.D. for his thesis on the “Role of Communication and Social Marketing in the Development of Women and Children”. His most recent book was published in 2014 and is entitled An Undocumented Wonder- the Making of the Great Indian Election.